Sold out in 45 minutes. Thank you! What an amazing show of support for an EPIC race! An awesome list of entrants! ENDURO 2019 is happening! Get to the race page for all the key dates and information. Remember there is an awesome Cruising Division, and a great party as well! Shorthanded Sailing Association of New Zealand shared a post. The start might not be until Feb 2020 but the prep work is already well underway for the #RNI2020 fleet with job lists that are long and a heap of prep to happen to get to the start line, some are making the most of the Easter long weekend! 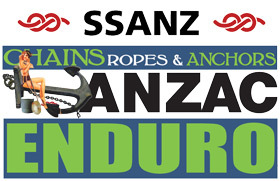 Not long until the #SSANZ Chain Ropes & Anchors ANZAC Enduro in May which will be a qualifier for many of the fleet! Shorthanded Sailing Association of New Zealand updated their cover photo. Calling all Cruisers - Easter isn't the last chance for you to go away for the weekend! Come join the cruising division of the Chains, Ropes and Anchors SSANZ 2-Handed Enduro 2019. The Cruising division starts at 1735 on Friday evening May 10th from Westhaven. Sail up to Shearers Rock (by Tiritiri), then head to the bottom end of Waiheke to finish off Pakatoa Island. It's only 36Nm with Saturday prize giving and social activities at the bottom end. Children under 13 years are allowed on yachts in the cruising division. There will be fantastic prizes from Chains Ropes and Anchors for just completing the course so what have you got to lose! Get your entry in and don't let summer end just yet. Congratulations from Stewart Island Sally. THE RNI2020 WAIT LIST HAS BEEN PUBLISHED. We appreciate your patience through this and we hope to include everyone who wish's to compete in this epic race. Could you run two races big boat go first then the smaller boats leave a few days later? High voltage - VM2 racing in! Damn missed out, on the waiting list. 30 spots gone We will be opening up in a few days for expression of interest, which will be offered spots if any withdraw in the order they sign up. C U Later will C U on the start line! Start Me Up is in, ye ha! Would love to be crew! Mike Buntain? RNI2020 Entries open 7PM TODAY! 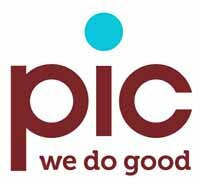 You will also need your co-skippers details including ph, email and emergency contact details Plus your yachts details. Shorthanded Sailing Association of New Zealand added 9 new photos. Great photos, and well done to all crews, and of course the officials. Entries will open on the 1st of April 2019. There will only be 30 spots. Race starts 22nd February 2020. Sadly, this is not an April Fools joke. Put it in your diary, set your alarm, do what you have to! Do not miss this great race! Keep checking the page RNI 2020 Race Page as the Notice of Race and Sailing Instructions will be posted there soon. Remember the Chains Ropes and Anchors ENDURO is a qualifier and that starts on May 9th 2019. Get writing that job list! SSANZ is the cheapest, best value, Yachting New Zealand affiliated yacht club in New Zealand. With great races such as the ENDURO 250, the always popular TRIPLE SERIES, and the incredible yachting challenges like ROUND NORTH ISLAND and ROUND NEW ZEALAND.